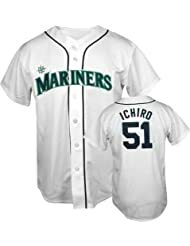 MLB baseball player Ichiro Suzuki, often known simply as Ichiro, is a Japanese professional baseball outfielder for the Seattle Mariners organization. With 27 seasons combined in top-level professional leagues, he spent the bulk of his career with two teams: nine seasons with the Orix Blue Wave of Nippon Professional Baseball (NPB) in Japan, where he began his career, and 12 with the Seattle Mariners of Major League Baseball (MLB) in the United States. 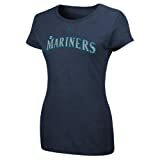 After playing for the Mariners, he played two and a half seasons in MLB with the New York Yankees before signing with the Miami Marlins. 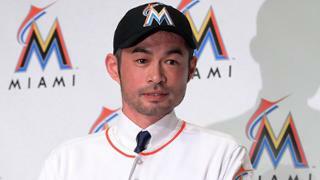 Ichiro played three seasons with the Marlins before returning to the Mariners in 2018. Ichiro established a number of batting records, including MLB's single-season record for hits with 262. He achieved 10 consecutive 200-hit seasons, the longest streak by any player in history. Between his major league career in both Japan and the United States, Ichiro has the most hits by any player in top-tier professional leagues. He also has recorded the most hits of all Japanese born players in MLB history. 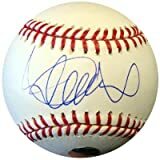 Ichiro moved to the United States in 2001 after playing nine years for the Orix Blue Wave in Japan's Pacific League. 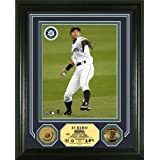 When the Blue Wave posted him after the 2000 season, Ichiro's rights were won by Seattle and he signed a contract with the Mariners. He became the first Japanese-born everyday position player in the Major Leagues. Ichiro did not miss a beat in his transition. He immediately established himself as one of the premier players in the Major Leagues, surpassing his accomplished career in Japan. 2004 was his most impressive offensive season yet, as he set several MLB records, including a new all-time, single-season Major League record with 262 hits. Ichiro, equipped with one of the strongest and most accurate throwing arms in the league, is generally recognized as one of the best defensive outfielders in baseball. He has won a Gold Glove award in each of his first seven years in the majors, all seven as an outfielder. Ichiro was named the American League's Most Valuable Player in 2001. Below are his MVP stats. For his career stats, click here. On August 7, 2016, Ichiro collected his 3000th major league hit. If he had played his entire career in the US, he, no doubt, would have surpassed Ty Cobb and Pete Rose. 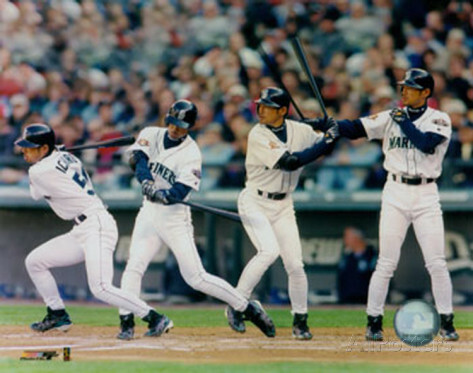 Featured here are Ichiro Suzuki posters, photos, giant collectibles and apparel.